OMG, cuteness overload, right?! I was so excited when I made them that I actually texted a picture of them to Ben and my sisters. I couldn’t wait to show you guys too! This is why I love my Silhouette. I whipped up these Disney themed water bottles in just a few minutes, yet they look totally fabulous. Anyone can make stuff this cute. You won’t even believe how easy it is! I found these water bottles at my local grocery store and figured they were the perfect size to lug around Disney World for a week – not too big and heavy when full, but not too tiny either. 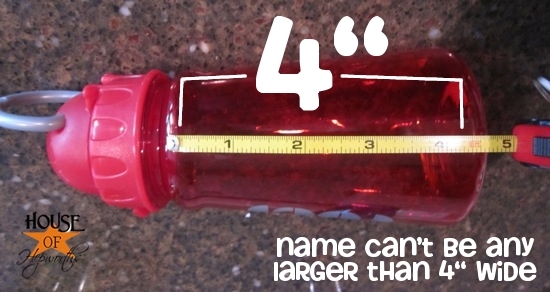 I measured the area I wanted the vinyl name to go on each bottle, which came out to approximately 4″ wide. To print the vinyl, I typed out the names of each of my family members in the Silhouette Software. Then I just dragged them until they were each approx. 4″ wide. “Ben” was an exception because his name is so short. His ended up being about 3″ wide. I used a free font I downloaded (can’t remember where, sorry!) 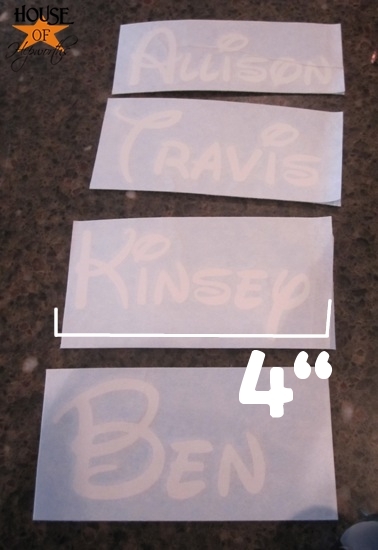 called “Waltograph42” so that our names were written in Disney font. Once the letters were cut, it was easy as sticking the vinyl to the bottles. From start to finish I spent maybe a total of 20 minutes on this project. The bottles were a huge hit, and I now have a few family members that want one for themselves! Having the Disney themed bottles really added to the excitement and magic of the vacation. 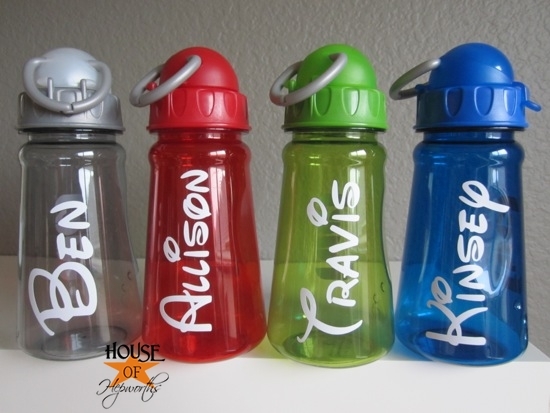 I love adding little touches like vinyl lettering to usually boring items like water bottles. I already like Silhouette on FB, and left a message telling them you sent me! I already follow Silhouette on Pinterest, love the ideas! Can’t wait to own a silhouette one day! Stopped by Silhouette’s FB page to say hi. I liked and commented on the Sihouette Facebook page! I follow all of Silhouette’s Pinterest boards! Not only do I follow you, I follow Silhouette on FB and Pinterest. Also left my comment on their FB page. As always, thanks for the change at another of your giveaways! I found your site from Pinterest. It’s great. You really have some great ideas. I followed your dining room redo. It looks great! I don’t have a Silhouette yet, but I am following the Pinterest boards to drool and dream! Thanks for all your hard work. Hi, I “liked” Shilouette on FB and am now e-mailing you so I can follow them on Pinterest. I already follow Silhouette on Pinterest, love all the clever ideas! I like the Silhouette facebook page and I told them you sent me. I would like them on Pinterest but I cannot get in. I’ve requested an invite from them twice and nothing.. 🙁 oh well.. thanks for the chance to win. Liked the Silhouette Facebook Page ages ago! First of all, those drink bottles are so cute! I read about them, thought I’d like to make some when I win the Cameo (tee hee), then went to FB to tell them you sent me to say hi. I already liked them. We run in pretty exclusive circles, huh??? I follow Silhouette on Pinterest, too. Thanks for hosting this great giveaway (and not making it too complicated to play along). I follow SIlhouette on Pinterest – and it’s KILLING ME that I don’t own one! I’d love to win! I “liked” Silhouette on Facebook and left a comment that you sent me. I just started following Silhouette on facebook! I like Silhouette on Facebook. Thanks for hosting this rockin’ giveaway! I follow Silhouette’s pinterest board. I follow all of Silhouette’s boards on Pinterest. I follow Silhouette on Pinterest. Good Luck all! Subscribed on Pinterest and ‘Liked’ on Facebook! One more try for good measure! I followed Silhouette on FB and on Pinterest, so I’m hoping this will put me in the running. I like Sil. on Pinterest! I like these cute bottles! I liked Silhouette on facebook and left a comment! Thanks for such a great giveaway! Same goes for their Pinterest boards. They have some great home decor ideas! Love the water bottles!! will definatly do this for our trip in march!! I like sihouette on FB! I follow sihouette on pinterest too!! I like Silhouette on FB and left a message. i follow silhouette on facebook! and i’m quite random so i think the random generator should just get it over with and pick me because i’d be just perfect for a random giveaway! i follow silhouette on pinterest! fingers are triple dog crossed! I liked them on fb and said u sent me! I now follow Sillouete on Pinterest! Feeling inspired and following their every move on Pinterest! I follow Silhouette’s boards on Pinterest. I follow them on piterest. I’m now following Silhouette’s pins on Pinterest! I like Silhouette’s fb page. I visited them on Facebook. These bottles are ADORABLE! I follower Silhoutte on fb and pinterest! Love how your water bottles turned out! I liked Silhouette on FB and following them on pinterest! Thanks for the chance to win this awesome machine! I like silhouette on Facebook! This is awesome thanks! I like Silhouette on FB and told them you sent me! I follow Silhouettes Pinterest Boards! I like Silhouette on facebook! What a great giveaway! Left some HoH love on Silhouette’s facebook page. Thank you for this Cameo giveaway! Following on facebook! Thanks for the awesome giveaway! I already ‘liked’ Silhouette on FB, but I did post that I was sent from you! I liked Silhouette on FB and mentioned that you sent me. I already follow Silhouette on Facebook but left them some comment love that you sent me! Left a comment on the Silhouette FB page! I like them on facebook and left a comment! Wow! I SO want one of these! Thank you so much for the giveaway – I already ‘like’ Silhoutte on Facebook. And love your blog as well! I follow Silhouette on FB and told them you sent me! And I follow on Pinterest. I already follow Silhouette on facebook, but I did leave a comment there, as well! I signed up to follow Silhouette on Pinterest! Great giveaway and CUTE water bottles!! I already like them on FB and also follow them on Pinterest. Yay! Those are totally cute. 🙂 I’m following Silhouette on FB. So exciting! I’m following all the Silhouette boards on Pinterest!! How can I NOT want one after seeing all your amazing projects? I already like Silhouette on Pintrest. 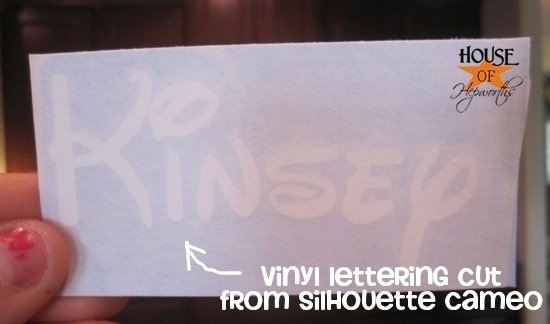 I like Silhouette on FB and left them a note! Thanks for the giveaway! I follow Silhouette on Pinterest and love seeing what they pin! Now I just need a machine so I can recreate it!! Haha!! Following Silhouette on Pinterest…LOVE your tip today! Such a great idea! I would love to win a Silhouette! I am following on Pinterest! Cheers! Already a “liker” of Silhouette on facebook. Follow them on Pinterest already, as well! I liked Silhouette’s Facebook page and mentioned that HoH sent me! Also, I follow Silhouette’s Pinterest boards, too! thanks for the chance to win! 🙂 Love your blog! I like Silhouette on Facebook and let them know you sent me! i don’t have a facebook (gasp, i know) so feel free to delete my comment if i have to do entry #1 to be qualified! I like Silhouette on FB and I told them ya sent me! I follow Silhouette on FB. I LOVEEEEEEEEE Silhouette! Pin It, FB! Wrote on Silhouettes wall saying you sent me! Following all boards on Pinterest! I like Silhouette on FB and told them you sent me. I liked and left a comment on Silhouette’s FB page/wall! I am a longtime fan of Silhouette on Facebook! I like Silhouette on FB. And I told ’em you sent me. I want to win! I “like” silhouette on facebook and follow silhouette on pinterest! Thank you! I follow Silhouette on Facebook and left a comment that you sent me. I am a fan of Silhouette on FB and told them you sent me. Love the Disney Bottles! Great idea. I like silhouette on Facebook!!!!! I have been wanting one of these!!! This would be awesome:)!!!!!!!!! I follow silhouette on pinterest – please let me win the cameo! I LOVE House of Hepworths!!! Thanks for the chance to win a Silhouette!!! Happy New Year to you and yours!!! I liked Silhouette on Facebook and commented. I also followed the Silhouette Pinterest boards. I have liked Silhouette on Facebook for awhile. I follow sillouette on pinterest! I liked sillouette on facebook! I like Silhouette on Facebook!!! I like Silhouette’s facebook page!!! I “Like” silhouette on facebook. Told them you sent me. I already like silhouette on facebook and left a comment saing HOH sent me…. I Like Silhouette on FB!! I follow and posted on Silhouette’s FB page! im now following silhouette on pinterest!! Bring on the ideas!! i liked Silhouette on FB and told them you sent me! LIKE silhouette on FB now too! Wahoooooo!!!! I left a comment on Silhouette’s FB and told me you sent me! Following the pinterest board too! I liked Silhouette on Facebook and told them that YOU sent me! I love what you did with the water bottles! So much fun! You are so creative!! 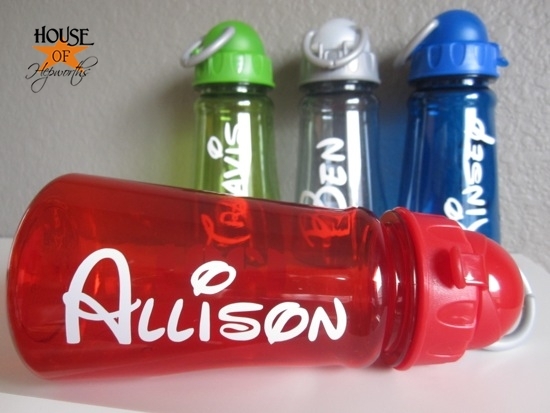 Love those custom water bottles, Allison! 🙂 I like Silhouette on facebook and let them know you sent me. Those are so dang cute!! I “like” Silhouette on FB! I am following Silhouette on Pinterest!! I’m following Silhouette on FB. Aaaaaaand I just followed them on pinterest! I’m following Silhouette on Pinterest…still getting the hang of the whole Pinterest thing, but it’s addicting to say the least. I like them on fb and said hi from you! Just left a message on Silhouette’s FB page! 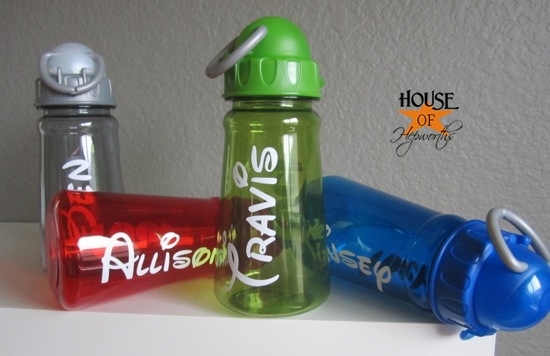 Those water bottles are too cute– we just got back from Disney and personalized water bottles would’ve been awesome! Thanks for the idea– maybe I’ll use it next year. Following Silhouette on pinterest too… they have such awesome ideas! I followed Silhouette America on Pinterest. I like Silhouette on FB & commented! I have a Silhouette SD, but would love to win the Cameo. Thanks. I already “like” Silhouette on Facebook! I already like them on Facebook…but I left a comment! I like their Pinterest boards, too! I follow on FB and Pinterest!! OH EM GEE! Those water bottles are so cute!!! LOVE THEM! I “liked” and commented on the Silhouette facebook page. I have liked Silhouette on FB for awhile now and I love all the inspiration! What a super cute project!! Love it! I already have liked Silhouette on Facebook! Thanks! I am a follower of Silhouette on Pinterest….oh I love it! I like Silhouette on Facebook. Nancy J.
I like Silhouette on FB and left them a comment. Thank you!! I liked Silhouette on Facebook and told them you sent me. I like Silhouette on FB and I told them you sent me! I like Silhouette on Facebook and left a comment! i follow silhouette on pinterest 🙂 LOVE your water bottles!! Following on Pinterest and liked and commented on Facebook! I ‘liked’ Silhouette of FB and told them HOH sent me! I followed Silhouette on FB and on Pinterest! Love you guys! i like silhouette on fbook! I follow Silhouette on Pinterest! Lots of great ideas 🙂 Thank you! I follow Silhouette of Pinterest. I visited and like Silhouette on Facebook and told them @House of Hepworths sent me. I will verify facebook name with you via email should I win. I like Silhouette on Facebook and let them know you sent me there. I follow all of Silhouette’s boards on Pinterest! I liked Silhouette on FB!! I liked Silhouette on Pinterest!! I liked the face book page…and told them you sent me…. I Like Silhouette on Facebook and left a comment. I like Silhouette on FB and left them a comment saying you sent me. I’m already a fan of Silhouette on facebook. Thanks for the chance to win! I Like Silhouette on Face book. Thanks for hosting this awesome Giveaway. I would sooo Love to win one of these. Love the water bottles! I really really need this machine. I like Silhouette on fb!! Also thank you for posting other chances to win, I hope to enter them too! I want one of these Silhouettes so badly! I “Follow” Silhouette’s Pinterest boards. I liked Silhouette on FB ! It would be so awesome to win a cameo….I could get my Christmas 2012 started! i like Silhouette o Facebook! I liked Silhouette on FB and left a message! I follow Silhouette’s board on Pinterest! I follow Silhouette on Pinterest! Thanks for the invite! lorraine@wecc-law.com. I liked Silhouette on facebook and told them you sent me! I liked Silhouette on pinterest! Thanks@! I “liked” Silhouette on facebook and told them that you sent me. I liked Silhouette on FB and left a comment. I follow Silhouette on Pinteresst. I follow Silhoutte on pinterest! I am following Silhouette on Pinterest too! I like and follow Silhouette on FB and Pinterest. I like you on FB. I hope I win! I asked for this for my upcoming birthday! Happy New Year! Looking forward to many more crafts this upcoming year! Hi Allison! Love your blog. BTW, I like Silhouette on Facebook. I had already like Silhouette on FB. I did tell them that you sent me. I “like” Silhouette on FB! Thanks for the giveaway! And I follow them on Pinterest! Thanks so much for a great give away! I commented on their FB page. I liked silhouette on fb. I love those water bottles. What a simple, but great, idea!! I liked Silhoutte on Facebook. Like silhouette on Face book. Loooove the bottles! So clever! Already like Silhouette on FB!! Would love to win a Cameo. What a great way to start 2012, I follow Silhouette on Facebook!! Thanks!! A pinterest follower as well! I like Silhouette on FB! Thanks for the giveaway! I like Silhouette on Facebook and I let them know you sent me! 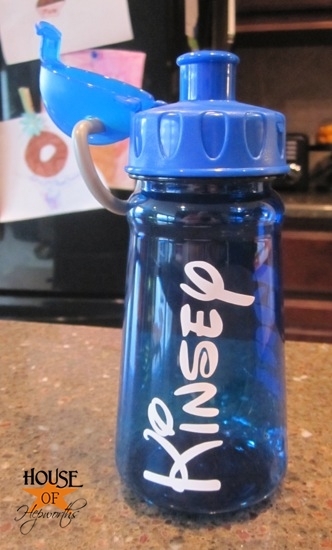 Love love love your Disney water bottle idea! I can only imagine all the fun projects I can create for my 2 year old son and baby brother on the way!!!! I hope I am the lucky winner! I have sat and watched the informational sessions on t.v and almost drool! I have liked Silhouette on FB for quite some time now! Excited for the giveaway! I already like Silhouette on fb! I follow Silhouette on Pinterest too! Love Your Blog! I follow Silhouette on fb and told them you sent me! Thank you! I “like” but really love them on facebook and follow on pinterest!!! I follow Silhouette on pinterest! Thank you! I follow Silhouette on pinterest. I would love to win! I already follow Silhouette on FB but a went by and let them know you said hi. I already follow Silhouette on Pintrest. I have liked Silhouette on FB for awhile. I like Silhouette on FB and told them you sent me!! I like Silhouette on FB. I left a message. I already like Silhouette on Facebook! oh yeah… I like your water bottles too!! Those are cute! THANK YOU for this opportunity to win the Cameo. I am a follower of Silhouette on pinterest! Love pinterest! i follow all of silhouettes boards on pinterest!!! I left a comment on the Silhouette wall! Wow, just found you 🙂 I like Silhouette on FB and I also follow them on Pinterest. I am in love with that font! Now that I know what it’s called, I’m determined to google it until find it. Thanks for sharing! I already follow Silhouette on Pinterest!! I stalk you on FB:)!! I love Sillouette and told them YOU sent me over!! I want to win it so I can give it to my Sister-in-law Lisa Robbins. She has been telling everyone how cool this machine is and has been trying to sign up for every give away she could possibly find for this machine. Lisa is so kind and every week she does a spotlight for a member in her family where she and her little 3 year old daughter Audrey do something nice for them and send them something that they have made special just for them. She is so thoughtful and I know how much this would mean for her to receive. Thank you for doing these giveaways! I like Silhouette on fb and left a comment telling them you sent me! I follow Silhouette’s pinterest boards! And I follow them on Pinterest…I am so stinking excited!! I follow Silhouette on Pinterest! I would love this! I follow Silhouette on pinterest. THANK YOU and Happy New Year! I alreasy like Silhouette on Facebook and left a message saying Hi! Thanks again for the chance to win! and those water bottles are simply ADORABLE! we are going to DL in feb….if i win this i will be makin’ me some FOR SURE! I like the Silhouette page on facebook, I let them know my fingers are crossed to win and that you sent me! can you send me an invite to pinterest board for Silhouette ? thank you! I was already following Silhouette on Pinterest. Love its ideas. I’ve been following Silhouette on FB, but went over again to tell them you sent me. I already follow Silhouette on Pintrest!! “Like” Silhouette’s Facebook Fan Page. Tell them “@House of Hepworths” sent ya. I am a fan of Silhouette on FB! I left a note on Silhouettes FB page saying you sent me. (dba tracy mayer). Thanks for the giveaway! I like follow Silhouette on Pinterest! I like silhouette on facebook! 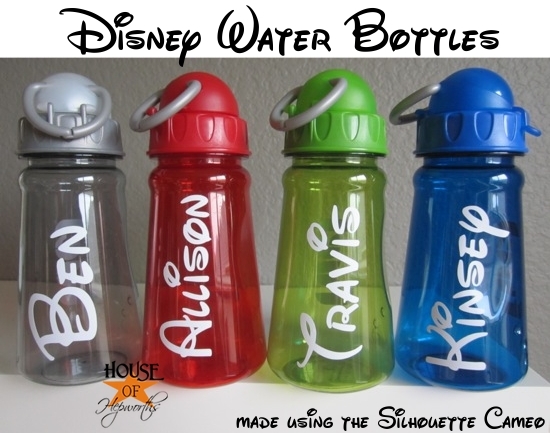 By the way I love the disney water bottles, what a fun idea! I liked Silhouette and told them you sent me…I’d love to win, I have eleven Grandkids and make things for them all the time…this would open up a whole new world of gift giving….Thanks for the chance. I follow Silhouette’s pinboards too! I followed Silhouette on Pineterest. Cute bottles! I like Silhouette on FB and left them a comment letting them know you sent me. I have been following them on Pinterest for a while now. Fingers crossed! Already like Silhouette on FB – told them I was visiting from your blog! Now following Silhouette’s pinterest boards – thanks for the invite. I liked silhouette on pintrest too!!! i am alread a silhouette follower on pinterest! I follow Silhoeutte on Pinterest! I like Silhouette on facebook and told them you sent me! I like Silhouette on Facebook and told them you sent me. And for sure following silhouette’s pinterest boards.. for a long time now! I liked Silhouette on Facebook and let them know that HoH sent me! xoxo! I’m also following the Silhouette Pinterest boards! xoxo! These bottles are great and would be awesome to have when i take my girls to Disney next Christmas therefore i left a message on FB page! follow silhouette on pinterest and looks like i love your pins/boards too! I follow silhouette on pinterest, too! I like Silhouette on Facebook, and I follow them on pinterest. I like Silhouette on Facebook and said you sent me! i like silhouette on fb! please pic me. I visited Silhouette’s Facebook page – thanks for the great ideas! I ‘liked’ Silhouette and told them HoH sent me! I like Silhouette on Facebook and follow on Pinterest – crossing my fingers! I follow Silhouette on Pinterest, thanks! I follow Silhouette’s boards on Pinterest! i already follow them on pintrest. Thanks for the giveaway! and i love your water bottles! So excited for this giveaway!! I liked them on facebook! Subscribed on Pinterest! Cant wait- I have been waiting to get a Silhouette forever! I already liked/follow Silhouette on FB and am following several of their Pinterest Boards! 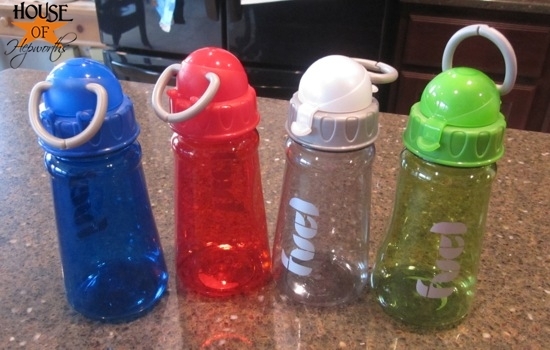 Love those bottles…would make a great gift for my son and his family who moved to FL a couple of months ago! I like you on FB and let them know you sent me. Thanks! Have so many ideas for using this in my home. I’d love to win! Liked Silhouette on Facebook! Left a comment that you sent me! Thanks so much! I “like” Sillouette on FB. Thanks for the giveaway!